Changing lives of children through music! We believe that music positively transforms lives. Together we can provide music education to underprivileged children, and performance opportunities for music students. Our foundation enables young musicians to share their talent with others, especially our seniors. Your donation of $100 or more includes membership in Kretzer Piano Music Foundation. – Keyboards for Kids: Group piano lessons for 100-plus inner-city school children at Center for Creative Education. – Kretzer Kids: Gifted young musicians who perform over 50 concerts every year in nursing homes, assisted living facilities and children’s hospitals. – Music for the Mind: Concert series at CityPlace every other Tuesday of the month since 2002. – Physicians Talent Showcase: Concert featuring a group of talented medical doctors, raising much needed funds for our kids. 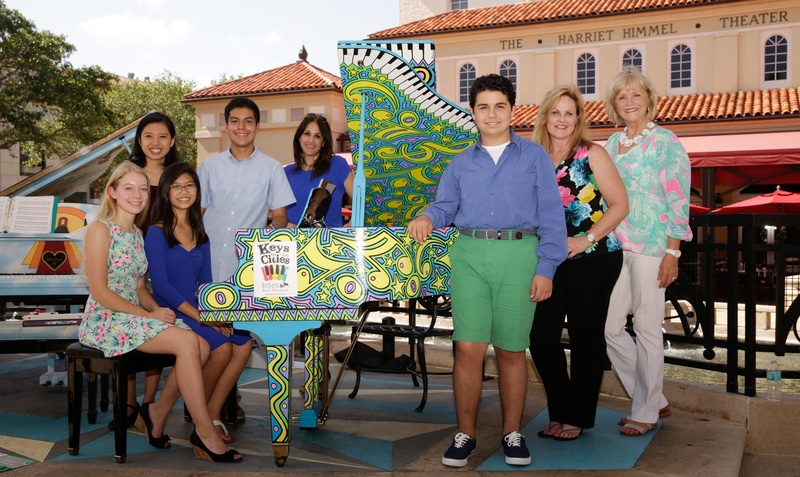 –Keys to the Cities: Placed 18 whimsically painted pianos in public locations from Jupiter to Delray Beach; pianos were then donated to local children’s charities. If you would like to make a payment by phone or have any questions, please call our administrative office at 561-748-0036. Please enjoy this short video of highlights.